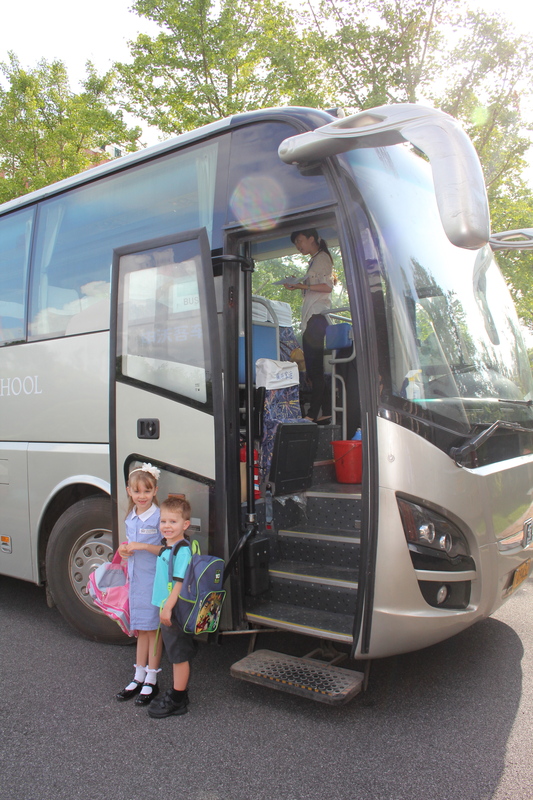 Monday August 27th was the first day of school for the education year of 2012/13. 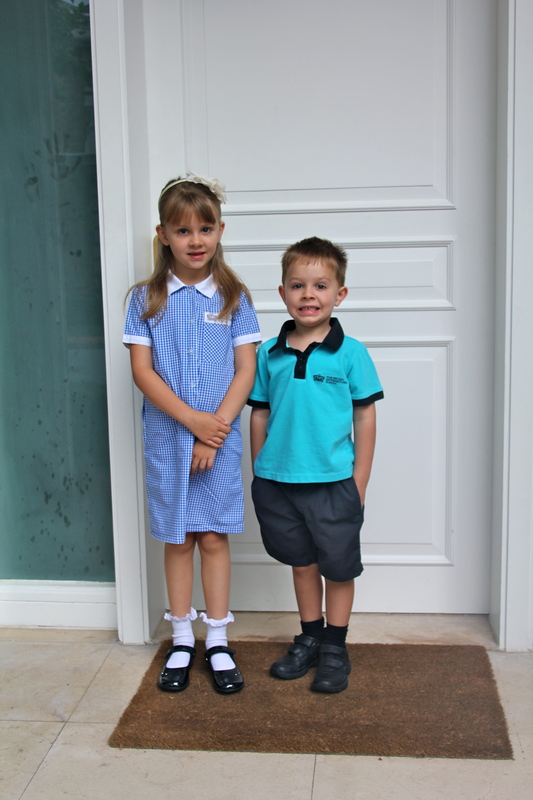 This year Oliver started in Reception (Kindergarten) while Isabelle is now in Year 3. My 2 gorgeous children were not at all nerves as we had all been to the school the Friday before for orientation. We met their teachers, saw their classrooms, they knew where their backpacks would go – all ready with their names! There is a new Principle/Headmaster this year and he gave all the parents an introduction to himself, the other new teachers and plans for the coming year. He also announced the results – outstanding that over 50% of the A Level class got A* or A grades and the list of Universities that the pupils are going onto are the very best in the world. Phenomenal achievements and a wonderful reflection of the quality of the education at the school that our children are at. No nerves here! Just excitement…..
2 weeks into the new school year and they are both settled into class, like their teachers, are thrilled with the friends in their classes and are full of the days activities each night at the dinner table. Isabelle has more homework this year than last and that is taking some adjusting to. Oliver has started bringing his first books home to read and is all excited about learning. It was Extra Curricular Activities registration this week, and Isabelle was keen to do Arts and Crafts and Chinese Cooking. So, Tuesday’s and Wednesday’s will be a late night home for her as she will be having fun doing those. I hope the rest of the school year finishes as successfully as the start of it…….. This entry was posted in Uncategorized and tagged BISS, Kids, school. Bookmark the permalink. Do all of the schools there have buses like that? Hope they have a great school year! 90% of BISS’s school buses are just like the photo (over 50 buses in service). 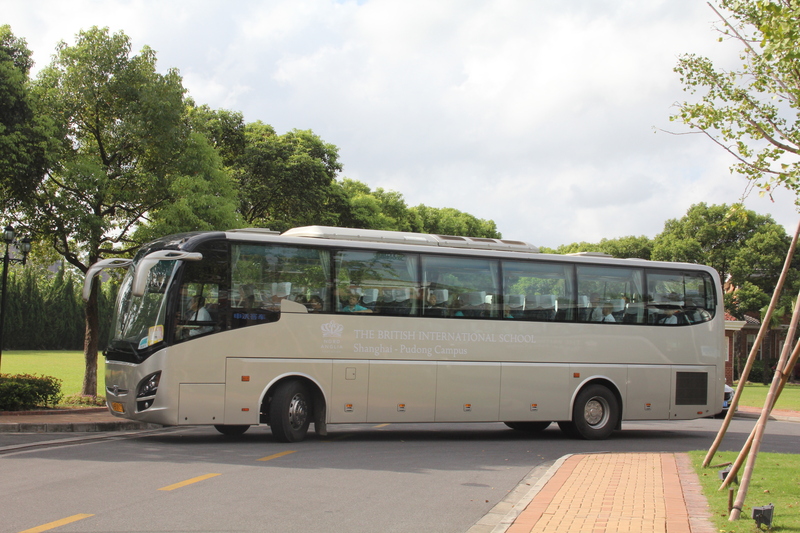 I don’t know about the other International Schools in Shanghai. The kids have to wear seat belts and sign a code of conduct for the bus! Thanks for the wishes for my kids!